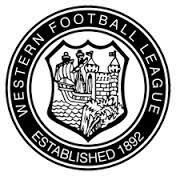 Originally formed as the "Bristol & District League" in 1892, the Western League is currently a two-division league sitting at Steps 5 and 6 of the National League System. The league changed name to the Western League in 1895, and over the next 20 years went through a number of different structures, including between 1900 and 1909 having among the membership the first team of Southern League Clubs such as Tottenham Hotspur, West Ham United and Fulham. In recent years, Western League clubs have been very successful in the F.A. Vase. Tiverton Town won the competition twice, with Taunton Town and Truro City winning once and Chippenham Town making a Wembley final. In 1898, the structure was simplified into just Divisions One and Two, with more and more clubs already playing in the Southern League joining Division One to create additional fixtures. Division Two was added again in 1925. Division One consisted of mainly professional clubs (including reserve sides of Football League clubs), while Division Two was formed of semi-professional and amateur clubs, with no regular promotion and relegation between the two divisions. The F.C.H.D. has the complete final table information for this league. Early tables were originally published in an AFS Publication from the mid-1980s, with later ones being compiled from contemporary sources. Since then, the full set of tables were published in a Centenary Book (View From The Terraces) and the sequel (Another View From The Terraces), but some of the tables do not balance.